LIC (Life Insurance Corporation of India) has launched a new Limited Premium, non-linked, with profit Endowment Plan called LIC Jeevan Labh. This plan is available for purchase from 4th January, 2016. Around the same time last year (in Dec, 2014), LIC had launched a similar plan called LIC Limited Payment Endowment Plan (table no 830). LIC generally launches a lot of new plans during this time of the year when most of the individuals (considering the salaried individuals have to submit their income tax investment proofs) look for investing in Tax Saving instruments. The main feature of this new plan is, the payment of premiums is limited to a term shorter than the policy (limited premium payment – LPP). The maturity amount is payable at the end of the policy term, or on the death of the policy holder whichever is earlier. LIC’s new plan Jeevan Labh is a traditional plan. It is a non-linked with profit Endowment Plan. Premium Paying Term options : 10 years / 15 years / 16 years respectively. Death Benefit under Jeevan Labh : The policyholder’s nominee will receive; Sum Assured + Bonus + Final Additional Bonus (if any). Maturity Benefit under Jeevan Labh : Sum Assured + Bonus + Final Additional Bonus (if any). Optional riders like Term insurance rider (TR) & DAB (Double Accident Rider) are available. Mr. Paswan aged 35 years, plans to take LIC Jeevan Labh for the term of 16 years and the premium payment term (PPT) of 10 years. He chooses the sum assured of Rs 3 Lakh. In this case, he is required to pay premium for 10 years only. After the PPT of 10 years, he will stop paying premium but the policy will continue till the policy term of 16 years. On Death of Policy holder – If Mr Paswan dies during the policy term, his nominee will receive the Sum Assured + Accrued Bonuses + FAB (if any). After this, the policy will cease to exist. On Survival till maturity – If Mr. Paswan survives till the end of policy term, he will get the Sum Assured + Accrued Bonuses+FAB (if any). The policy will terminate thereafter. Let us consider an example, Mr. Paswan (35 years) wants to invest in LIC’s new plan Jeevan Labh policy. He is not clear as to which is the best combination (policy term and PPT). He wants to calculate return on investment under various combinations of Policy and Premium Paying Terms. If Mr Paswan opts for Policy term of 16 years and PPT as 10 years, premium is Rs 17,892. Under this option he has to pay the premiums for 10 years. In the beginning of 17th year he may receive the maturity benefit of Rs 3.38 Lakh (inclusive of Sum Assured, accrued bonuses and final additional bonus). The expected return on his investment is around 5.6%. Like wise, Mr Paswan will get returns in the range of 6% to 7% under different options of LIC’s Jeevan Labh plan. Should you invest in LIC Jeevan Labh Scheme? We are at the fag end of the Financial Year 2015/2016. People generally rush to buy tax-saving plans at the fag end of a financial year. If I have to do my tax planning and investment planning now, I will surely ignore this plan. The premiums paid on LIC Jeevan Labh policy may give you income tax benefit under section 80c, but may not generate decent inflation adjusted returns for you. Kindly think beyond taxes when investing in Financial Products. I am sure you are now very clear on how much returns can we expect from these kind of endowment policies. Returns of 6% to 7 % that too over a period of 16 to 25 years sounds very low to me. Kindly be aware of financial products before you buy. Let me know your views. Do share your comments. Cheers! You may like reading my article on : “LIC’s 2015 all plans list – Snapshot & Review“. i recently spoke to LIC agent and he suggested me for jeevan Labh. have to pay 7,363 Rs per month till 10 Years and 16th year i will get 19,44000 Rs. in between i die then 10 lakhs life cover is also there. +10 lakhs more if died in any accident. After reading your suggestions below i am confused now. what should i do as i asked the LIC agent to come and pick 2 months premium this Saturday. I am 36 years old and have 2 kids (5 and 7 years), to secure there future i planned the above. i do not want any life insurance cover, i just need a better return but not very long investment than 15 years. Could you please suggest me any plan, where i can invest monthly and get better maturity amount? If your objectives are ‘better investment returns’ & ‘not life cover’ then you can mostly ignore this Plan. my age is 28 and I want to invest 60000 yearly and I don’t want to take risk. I am confused between Lic Jeevan Labh and PPF……. If your requirement is not getting a life cover, you may save in PPF. One more query, recently I received a call regarding “pnb-metlife endowment saving plus plan” they are saying invest Rs.36000/- per year for 10 years and you will get Rs.9.26Lakhs. So, we are investing 3,60,000 in 10 year and getting 9.26Lakhs. or they are playing with the words?? Advisable to avoid investing in Endowment plans. Traditional life insurance plan : a terrible investment option? I have taken LIC Jeevan Labh plan for 15(21) Years. I have to invest 27190 + service tax Half yearly till 15 years. After 21 years they will return nearly 21 Lakhs. My current age is 25 years. Is it right plan for me? I have already availed this plan in 2016. If you are content with low returns you may continue with this plan. You may kindly go through the article again. IT IS NOTICED THAT THE CALCULATION OF IRR IS SOME MISMATCHING. PLEASE SEE THE RETUN BELOW CALCULATED FOR 47 AGE AND FOR 15 YEAR PREMIUM PAYMENT AND MATURITY AT 21 ON JEEVAN LABH. Dear MANI ..May I know your assumptions wrt Bonuses (FAB & SRBs)?? I am confident that my calculations are correct with the mentioned assumptions. There is a mistake in your calculation, the maturity amount is not paid in 21st year, it will be paid in 22nd policy year. Oops! definitely nothing personal here! this is purely a knowledge sharing platform. Kindly note that the policyholder’s age is 35 years in my example. Also, the premiums are paid at the beginning of the policy period. So, the maturity amount is paid at the end of the policy period, so it is 22nd policy year beginning and not in 21st. Thank you for writing on LIC new policies. Please write about other PRIVATE INSURANCE COMPANIES policies also. It looks like they are taking more money from people and giving less benefits than LIC. I found LIC jeevan aanand is good policy…….> I NEVER found such policy WITH PRIVATE INSURANCE COMPANIES. SIR PLEASE COMMENT ON PRIVATE INSURANCE COMPANIES POLICIES ALSO. SO WE CAN EDUCATE. If an individual’s requirement is to get adequate and affordable Life cover, can consider buying a Term plan. For investment / wealth accumulation purpose for long-term, there are better alternatives than investing in traditional life insurance plans (of any company). To be frank, I think you are hiding the matter. For normal people generally they will follow traditional policies only……. In my view, LIC traditional policies are better than private insurance company policies……..I hope you know it very well.. Private Insurance companies taking more money than LIC (means premium cost)……. so please aware people that LIC is better than private insurance companies. (traditional insurance plans)………Its only my suggestion. I advice what is good to my blog readers. So, how much LIC traditional policies can give as maturity returns? I am not sure if you have understood my views or not. It is advisable to ignore all types of traditional plans, if decent inflation adjusted return is the objective. Yes. I observed that you are not associated with any insurer. I understood that you are saying about LIC traditional policies in general….. Yes you r paying right amount because service tax amount is not written on bond paper.In bracket they write (Service Tax is charged extra as applicable from time to time). Dear PRAVEEN ..Kindly ask your agent as to what is the expected IRR (internal rate of return)? May I know your requirement – are you looking out for life insurance cover or decent return on investment with good Real Rate of Return? Read : Traditional life insurance plan – a terrible investment option? i am 24 years old,is is it jeevan labh suitablr for me? Dear Rudolf..May I know if you have any dependents on your and/or have financial obligations/liabilities? Thought-provoking suggestions . I was enlightened by the facts . Does someone know where my business would be able to get ahold of a sample My Life Planning Workbook version to fill out ? I want to investment for tax save as well want to more return. Dear venkat..Kindly contact your agent or LIC for accurate information on Surrender value. Your blog is awesome, I did MBA- Finance from reputed B-school. Love your work & idea’s. Understand: Insurance & wealth creation two separate things. thanks for educating people. I can invest around 1 or 1lac50k annually(ie it should have option of monthly payment). Please suggest me some best aggressive assured return plan so that at the age of around 35 to 40 i start getting good handsome money returns monthly. May I know what do you mean by ‘aggressive assured return plan’? If you are looking for periodic payments (monthly) then how can you expect compounding to happen and how can you accumulate decent corpus to again get monthly payments? I am 30 yrs old married.I want my financial security and death benefit . 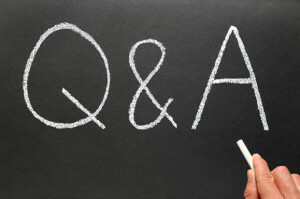 What are the best policies and plans to take for betterment. How much i need to invest for life cover and financial security. Term insuarnce plan is the best option to get high life cover at affordable premium rates. If life is unpredictable, insurance can not be optional. note : she already have Rs. 50000 sum assurance lic policy but I would like increase the same. If you are dependent on your mother financially and if she is an earning member of the family and if she has any financial obligations then you can take insurance in her name. So, are you sure does she require life cover? Instead, suggest you to kindly get her adequate HEALTH INSURANCE cover. If she is dependent on you, you have to buy a life cover. me and my mom have health coverage and my self have good sum assurance policy. but my mom not like that. I am sure I want to increate coverage for my mum. Please advise me for best plan. If you want to increase health cover for your mother, you may consider a Super Top up plan. Read: Best Super Top up health insurance plans.. I have a pure term plan giving protection to my family incase of my absence. So is it good to with these LIC plans or should i go with MF, PPF OR Bank FD’s which is giving higher return than LIC policies? If your investment objective is long-term wealth accumulation & better inflation adjusted returns then you can consider investing in Equity oriented products systematically. Just wanted to know if i want to invest in any good plan which one you will recommend me to go ahead. My age is 39 years and i have one daughter age 5.5 years. I can invest up to 1 Lack/year. If you do not have adequate life cover, suggest you to buy a Term insurance plan. Thanks for this awesome post. I am just trying to understand the way the returns are calculated. In the above example, the total investment is Rs 17892*10 = Rs 1,78,920. and returns are Rs. 3,38,400. The returns here are definitely more than 5.59%, in fact close to double. The total investments are not made one-time, it is over a period of time. IRR is different to absolute returns. Like net present value method, internal rate of return (IRR) method also takes into account the time value of money. ok great thanks for the reply, very informative and useful. Also, if its ok I would like your opinion on the HDFC Life Super Income plan. Is it worth investing in it for 20 years? Dear Vish..HDFC Life Super Income Plan is an endowment plan with bonus facility. Personally I would avoid investing in such plans if my investment horizon is 20 years. Do you have any existing life insurance policies? Kindly let me know your age. Suggest you to avoid investing child plans. Ex: Read my review on LIC Jeevan Tarun child plan. If your father has no financial obligations, life insurance is not required. You may get a health insurance plan in his name. If your father or any other family member(s) are dependent on you financially, suggest you to buy a Term plan. You can consider buying Personal accident insurance plan & health insurance plan too. Best portals to compare health insurance plan. Dear Bhoot Raj..Do you have any family members who are dependent on you? There is very high risk of living too long considering the fact that medical technology is very advanced now. So, the only way to accumulate decent corpus for long term goals like retirement is ‘by taking risk’, to get positive inflation adjusted returns. Dear Bhoot Raj..You have to analyze your investments? Isn’t it your hard-earned money? You can get steady returns from other investments like PPF too which can be better than these kind of traditional plans. Term insurance Vs Traditional plans.Kindly do not mix insurance and investments. This is Ramesh again, yes I had taken a LIC’s Jeevan Nidhi 4 years back both my wife and me. SA is 8 Lacs, each 4 lacs and premium is Rs.4500/- PM (both inclusive). So, again I am planning for further to increase my retirement amount pls advice..
Kindly note that there is a purpose for asking you about your existing life cover. Do you believe that Rs 8 Lakh is sufficient life cover? Do you believe that you are adequately insured? If you don’t think so, you may have to take Term insurance plan. Once you are done with getting adequate life cover, depending on your financial goal(s) & time-frame invest in better products than these pension plans which are more flexible, easy to understand, tax efficient and have high liquidity. I am Ramesh from Bangalore, going through your blog porlonged details with Choudhary and others.. bla bla discussions..okay. I am 37 year old, where I am looking out retirement plans like, PPF, RD (very know Co-operative banks giving around 11.25% for 10 years) other banks now a days is around 7.75 to 8% depends. Now, whether can I go for any insurence which has pension plan or elase other investments. 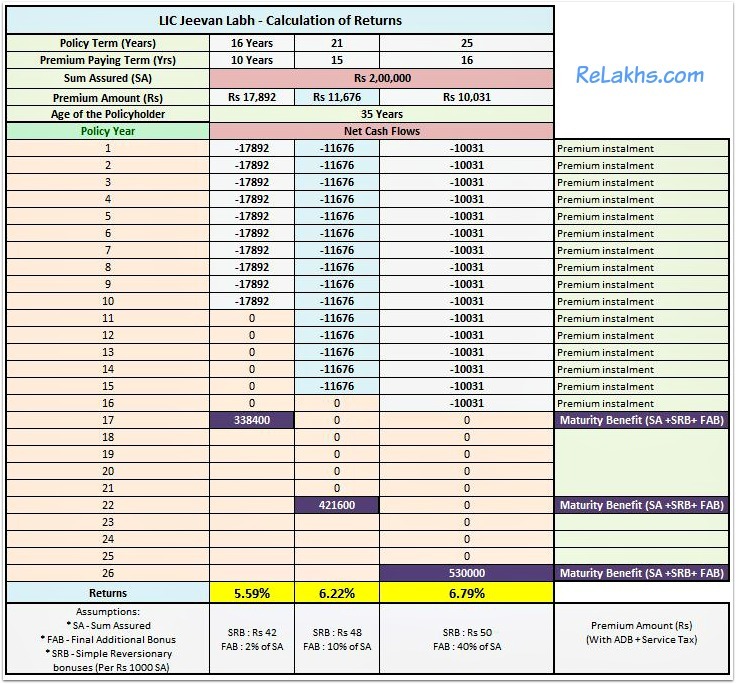 As I got a mail from know LIC agent who has send me the details chart of LIC’s new plan which has been discussed above Jeevan Labh, where they have mentioned of Rs.5000/- PM over the 16 years the maturity amount will be Rs.2301300/- and also if a client opts for the pension he will be getting of Rs.18698/-. The details given by them as follows:- please read and suggest me how could this benefits to me or not. Get a life tie PENSION i.e., 100 years by taking LIC New Endowment Assurance plan Ones. and also they mentioned like this: “India’s No: 1 plan with very good returns and much more benefits. Much better than FD,RD, & PPF Table No: 814,815.” awaiting your kindly reply. Dear Ramesh..Kindly let me know if have have any existing life insurance policy? Are you adequately insured? Dear krishna..Kindly read the article. Suggest you to avoid buying this plan unless you are content with around 6% returns. i want to take plan of LIC LIC Jeevan Labh Plan (836), any guys suggest me how is plan. Hope you are doing well. I got call from LIC about JEEVAN ANAND & that are saying that there are guaranteed 9 % return & no market risk. Is it the good policy or not. Kindly stay away from conventional plans like Jeevan Anand. If your requirement is life cover, buy a term plan. I want to let you know that last year I had applied to PMJJY Scheme under SBI LIFE. But the bank has send me a another policy documents naming SBI LIFE SUBH NIBESH. When I contacted them they said that Your PMJJY premium has not been yet credited, so your PMMJY is not applicable as of now. My Q to you that Does Subh Nibesh plan and PMMJY are the same? or SBI LIFE has frauded me in the name of PMJJY applying to theirs POLICY TERM ?.?? No, I believe that they might have cheated you. SBI Subh nivesh is an Endowment policy which can give you at the best returns of around 5%. Excellent presentation & you have a lot of patience to answer to such comments. The agent actually did more damage to his company image rather than giving the positive factors about the product & the insurer’s past performance on bonus, claim settlement & service. In fact, 7 to 8% on a long-term debt product could be reasonable if it is guaranteed (even though inflation is higher). The reason being, even the debt product returns keep reducing (example-NSC) as time proceeds. But, it is the objective of the investor, his age, risk-tolerance, time horizon to goal & lot more factors to decide the investment avenue. Let them be clear about it. The key-point is ‘guaranteed percentage points’. LIC can guarantee bonus payments but they can not guarantee the % on these kind of plans. PPF can be a better ‘Debt’ option. I completely agree with you that as long as the investor is well-informed and buys financial products as per his/her requirements, our mission is accomplished. If I give too much importance to ‘maturity benefit’ then I do not promote term plans the way I am doing it on my Blog. Don’t you think if at all a policyholder decides to invest in these products, maturity benefit/returns is what matters right? Kindly be clear with your views and do not mis-lead investors. That’s where I differ…… You are paying a premium of say Rs 10000 for Insurance cover of Rs 200000……Does that mean in case you cease to live your family will get just Rs 200000……? Nope Sir….. Your life cover continues in the day of grace…… Your life cover continues even during the auto-cover period or Claim concession period….. So the actuarial department chalks out the premium after major calculations…..and yes, Reddy Sir…. Accident benefit rates in Jeevan Labh is Rs 1.85 per thousand Accident benefit sum assured……..
It’s somwhat liquid in the sense that you can take a loan out of it( the loan amount will not be much but paid after 3 years)..And of course, you can assign the policy……… Avail tax benefits……Term plan premiums cannot be paid by the ECS method…. This plan can be paid through hat mode……Term plans cannot be revived….if any one fails to premium in time( earlier term plans did not have the grace period facility but now a day they have )… This plan can be revived within a span of two years from due date…A host of things all clubbed into one…..It is not a must have……. must not something to stay away from…… That’s all fr the day…. Sir…. Stay blessed…..
Kindly first share your answers to 1) & 3) points . Be precise and to the point. Appreciate that you finally said that it is not a MUST HAVE product. And I believe that one can stay away from it if expected returns on investment is greater than say 6%. Sreekanth ji.. I am from a small town here in Rajastan. following your website last 3 months. It is very good and useful. Why do you want to waste your valuable time to answer to Joy sir’s non-sense comments? His comments reminds me of my agent who sold me all bad policies. Most of the agents like Joy sir talk about everything and not about the products which they are selling. Even if they talk, they tell us wrongly. request you to keep informing us through your articles and may god give you lot of good health. All my blog readers have the right to share their views/criticism here. So, no issues with Joydeep sharing his comments here. I have great respect for ‘insurance professionals’. It is indeed a very noble profession. Unfortunately, even most of the well-informed or educated agents are not presenting the right picture to their clients. That is my real concern. Sir , let me ask one and all a very simple question? Why is an insurance product called a Policy….? Why not a scheme or simply insurance product……It is also called a Plan…? Reddy Sir….. Since I have two Term plans, I am definitely not opposed to Term Plans…..Pls answer my question just for my enlightenment…. No offence Sir…. I trust CFPs are doing a good job…… and I do respect you people………..
One more fact is I pay nearly Rs 13000 for my 4 wheeler insurance for Sum Insured Rs 700000…… Now Term plans 1 crore cover in Pvt Ins Cos cost less than that……. Have you ever questioned this…..?And Sir u r saying that LIC Term plans cost more…PMJJY insurance cover 300000 premium yrealy 312…Human value nothing compared to vehicles…..? Thanks and Good nyte……. You have not yet answered all my previous questions?? 2) Why dont you compare term plan premiums of LIC with that of other pvt players? Or may be with SBI’s? same standard of living when breadwinner of the family is no more (god forbids). The point 3 above just nailed this whole conversation in favor of Term Plan + MF completely. Just to sweeten “Life is Too Short” point, a family gets large sum after paying only a small and affordable premium (especially for a lower middle cost family) every year on a term plan. The most annoying thing about LIC endowment plans are, they make tall claims in benefit illustration of those products like 8% returns. But if we look back at the bonus rates year after year in the past 15 years, there is not even 1 policy that paid anything close to 8% and there were some super bull markets like in 2014. Also to woo the poorer families, their Sum Assured illustration only show small amount like 100,000 because only for that amount the premium is lower and it gets insanely higher as the sum assured increases. What can a family do with Rs 100,000 in this age when the breadwinner goes? Its even worse when you get this money 15 years later. I know one LIC agent who could not explain me their illustration XLS for a product. He was simply unaware of the calculation behind the returns mentioned there. He just said, it was downloaded from LIC site. LIC pays big commissions to these agents to cheat people. The government lets the big PSU companies bleed for their own greed and then use companies like LIC to bail them out as part of disinvestment where LIC is forced to invest. Finally people are the ones to suffer in this vicious cycle. The main issue with most of the agents who share their views here is, they talk about everything except the product(s) which are being discussed here. They express contradicting views and try to mislead the investors. MF Utility platform to invest in direct plans. Let me also inform you that Edelwiess Tokyo Insurance had last year repudiated two large amounts of Term plans…. And according to an IRDA report 60 per cent of the claims repudiated by Insurance companies ( LIC included ) are but Term Plans…….LIC has instructed its officials to underwrite Term insurance proposals with double accuracy and Has imposed restrictions on Term Plans to Politically exposed persons ( PEP) as per RBI guidelines…..and Key man Term plans were sold to lots of companies by Pvt Ins Cos and now Ins Cos ( LIC included ) have imposed restrictions on Key man Term Plans…… Sir….. This was done after fraud claims arising mostly out of Term plans were detected……. Hence, Insurance companies have been given the power to sell Pension plns and also now a days Maturity amounts can be taken in the form of settlement options, where you can get 6 per cent extra returns ( Current rate 6 percent )……. Why do you think ‘Term plans should not be the order of the day……’? and why did you take term plans? What have you done to educate people about the importance of health insurance plans……? which is more important than Life insurance plans…? What have you done to educate people about importance of property insurance ? For your kind information ..yes…LIC invests huge chunks in Equity when the Govt instructs LIC to do so…but your claim that LIC earns huge profits out of it is not authentic……. LIC incurred huge losses from equity investments in FY 2010-11. You said LIC pays pea nuts o its policy holders……. LIC has paid Death claims in flood hit Chennai with out any documents…….. LIC is the highest loan lender in the country…….. And yes PFs give better rturns than LIC products…. 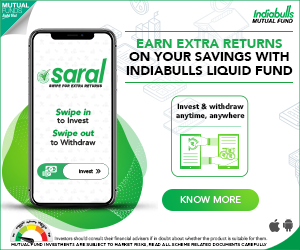 I have never known a single Indian who hasn’t taken a loan out of PF…… If you want to lure Indian populace into SIPs and MFs then educate them about these products and I bet you won’t be able to do so Reddy Sir…….Reason……The intricacies of these products won’t creep into Indian brains……. I have never seen you extoling LIC…….And that’s a concern……Have you Sir studied Actuarial Sciences…..? First of all study and then, you may comment…….. LIC claims it has 30 crore policies, mind you Sir, policies in its kitty…. This means approximately 15 crore policy holders….. PVt Ins Cos have not more than 2 crore new faces as Policyholders…That makes the total insured Indian population to 17 crores out of whopping 70 crore insurable population which is less than 25 per cent of th Population…..
India is basically not a beef eating country but is the HIGHEST exporter of beef in the world…..23 per cent of world beef production is made in India……. I have a feeling that- make Life Insurance mandatory and I swear Nobody talks ill about your products…..Sorry Sir…I have talked a lot and I do apologize ………. Wish you happy days ahead……. Hope you won’t mind things….. I do apologize again for my audacity…..
Kindly go through other articles related to health & personal accident related ones. I said LIC pays peanuts with reference to BONUS OR MATURITY payments. Don’t you think that paying 5 to 7% over a long periods >10 years so is way too LOW considering the inflation which is prevailing in the economy? We have to buy insurance for risk cover and not with the view of making PROFITS/RETURNS. The govt should make TERM INSURANCE as mandatory one and not these low-yielding products. Srikkant Reddy Sir- Are U married ?You must be aware that every couple should have a Marriage certificate and it is a must… But do you have one if you are married….? 99 per cent of couples in India don’t have a Marriage certificate- Reason- Apart from procuring visas and passports there is hardly any place where you got to produce the Marriage certificate.. I am aware that you are an LIC agent. Instead of discussing about the product in question, unfortunately you talk about everything expect about it. Did I say that this product is a ‘bogus product’, without me saying that it is a bogus one, why do you feel so? I am here to educate my blog readers to take informed decisions. These kind of conventional products may make LIC rich but not its policyholders/investors. Every year, LIC invests thousands of crores in Direct Equity (share market) and gets huge profits, but pays peanuts to its policyholders (of traditional plans). If LIC is getting richer, why is it that their Term plans’ premiums are the COSTLIEST of all? Yes, I am here to promote importance of TERM INSURANCE and also mutual funds (for long-term goals). I got a call from SBI Life agent explaining the plan “SBI Life – Shubh Nivesh” which is a non-linked, Endowment Assurance product. The agent is claiming to give a return of 12% (fixed and guaranteed, special rate, generally between 6-10%) on this product over 5 years of investment. However, I am not totally convinced, per my understanding the rate cannot exceed single digit. Please suggest. I am doing good, thank you. How about you? I believe that these kind of products can at best give you ROI of around 6%. If your priority is to get life cover, buy a term plan. If your investment objective is tax savings + wealth accumulation, consider ELSS funds. I want to know about Postal Life Insurance. It’s pro’s and con’s compare to LIC. Dear Darpan..I believe that PLI do not provide Term insurance plans, which is the basic & must have product. They offer mainly traditional plans with limited Sum assured targeting mainly rural population. nice article and helpful. please continue this good work. What is considered as the death of the insurer? If it option (6), then why would I need a raider for term and accident by paying extra premium. For life cover, all we need is a good Term insurance plan. It is prudent to ignore buying these kind of conventional plans.